Today I have been sober for 35 days. Yesterday was quite a busy day for me, which is why I didn’t post anything. The day started with my morning AA meeting in Pattaya, and as ever, it was a good meeting. After the meeting I had my first official meeting with my AA sponsor. We took my car and drove up to “Buddha Hill”, parked up, and took a short walk to a large shelter which overlooks the hills and some gardens. My sponsor had previously asked me if I was been prepared to go to any lengths to give up alcohol, and I replied that I was. In all, he has asked me this question three times, the last time just before we started on “Step One”, and each time I replied in the affirmative. Of course these are very big steps for most people, especially for those of us, like me, who are or have been agnostics or atheists. In AA, God can be interpreted as any “Higher Power” in this universe that an individual wishes to identify with. It does not have to correspond with any formal definition of God that we have come to understand from established religions. AA will teach you that some form of Spirituality is essential for an alcoholic, if he or she is to achieve long term sobriety. Eminent psychiatrists such as Carl Jung have endorsed this view, and in Jung’s opinion, the only hope for a chronic alcoholic is for him to embrace spirituality and to rebuild his life according to a new set of moral principles. Of course I have known about these steps for some time, and have heard other alcoholics ‘share’ at meetings how they came to believe in God or a Higher power as they understood Him; how this belief had transformed their lives, had brought them to joy and harmony with the world, and effectively stopped their craving for alcohol. Some of these ‘sharers’ were ex convicts, admitted thieves, muggers, wife beaters and disreputable people from the very dregs of society. In the first instance they had all totally rejected the concept of any kind of God, but in time came to realise that it was the only way forward and finally embraced a new belief and a new life which has helped to keep them sober for many years. Please understand that I am not talking about any form of organised religion. I am talking about a personal belief in a “Higher Power”, whatever that may mean to each individual. Organised religion of whatever colour or creed plays no part in an alcoholic’s embracement of spirituality. It is rather a new, moral way of life that is directed by ‘something’ out there, in our universe. I have listened to much and read much in the last few months, including some compelling books on spirituality, and as a result, I was able to inform my sponsor that I felt I was now ready to accept steps 2 and 3. I also told him that I was just a beginner, and that I had a very long way to go on this road to true spirituality, but at this point in my life, I was ready to accept and believe in the concept of a “higher Power” and that I was ready to make a decision to turn my will and life over to “Him”. Then, for the first and only time in my progress along the ‘twelve steps’ road, we both got down on our knees and read a small prayer which reflected my acceptance of God, and my willingness to turn my life over to him. I realise that many of my readers will start to cringe when they read this, and will think that in one way or another I have “got religion” and that I will now try and ram it down everyone’s throat. Well I can assure you that nothing is further from the truth, and may I remind you that my journey towards spirituality is a personal journey, and has nothing whatever to do with any religion known to man, and the last thing I ever wish to do is to try and convert anyone to my way of thinking on this subject. I am reporting what happened – purely and simply – because it was my stated aim when I started this blog to be honest in all matters pertaining to my alcoholism, good or bad, crazy or sensible. Later I will write more on the subject of spirituality, as it is a very important subject, and integral in the recovery programme of all alcoholics. I have started to open my mind to some new ideas, and as a result, I have learned more about spirituality in the past few months than I have in the rest of my life put together. The meeting with my sponsor concluded at this point, and he asked me if I had noticed any changes in myself. I shook my head. He said: “Well I have. Your eyes are glowing, and for the first time you are looking at me straight in the eyes. You never did that before”. I realised that I was indeed looking straight at him, and that I was smiling as I spoke, which is something I rarely do. He told me that many people, after they sincerely complete steps two and three, will invariably appear different to others but the individuals themselves will not be aware of these subtle changes in their behaviour and countenance. We returned to my car, and I dropped my sponsor off and returned home. In the afternoon, I returned to Pattaya and looked at some Condos for rent as I am now proceeding with my plan to move out this month. I saw a couple of very nice places; one, a studio on the top floor of a condo in Jomtien with a partial sea view, and another, nearby, which was larger and had a separate bedroom, a huge balcony with a magnificent sea view. It was more expensive, but it was definitely the favoured one, and I indicated my interest to the owner. He wanted a year’s lease, but I knocked him down to six months, and also got 5,000 Baht off the posted monthly rental. I told him to make out the lease to commence on 15th October. Later this week I will sign the lease, pay a deposit and that will be that. The die will be well and truly cast on my new beginning. Later, I drove to the airport to pick up Bob, who returned from his two day trip to Vietnam and by the time we had returned to Pattaya and had a meal, it was very late, and I had little problem in dropping off to sleep. I forgot to mention that my wife, her son, and the house boy/cook/ baby sitter all took off yesterday to their home village for the Buddhist festival which is being held across Thailand today. So Bob, I and the dogs, had the house to ourselves. It was almost too peaceful! 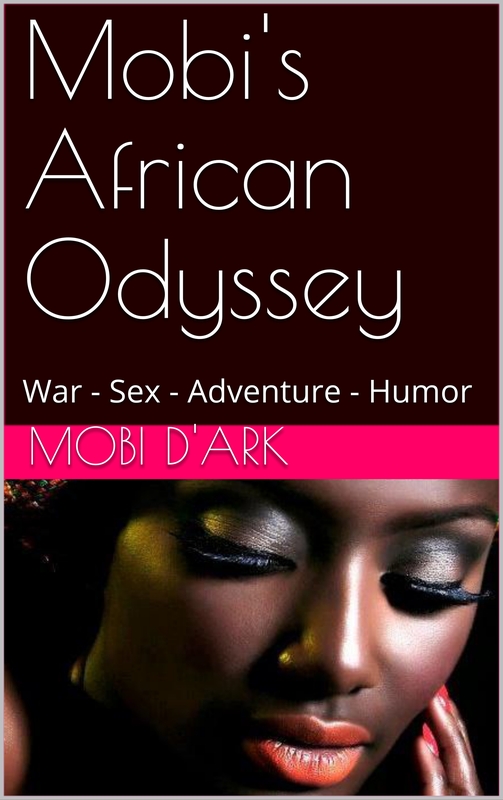 Tomorrow I will continue with Mobi’s Story, God willing. In this post you stated that your first meeting with your sponsor, you are on your knees in public praying to God. The first three steps are complete subjugation to God – in whatever form he may take. I don’t have a problem with that, if you are that way inclined, my only problem with the AA is that they believe theirs is the only way to become healthy. It isn’t. The doctor who referred me to the rehab clinic, was open to the AA and said that the AA can work well for some people but for me he suggested cognitive therapy. And it did work – very well. I can’t tell you how positive I feel and my lack of desire to drink. Obviously, I could relapse, as could someone who has done the AA program, but there are many people who have remained sober the rest of their lives using the course I took. Anyway, as i said before, I wish you the best of luck, I’m sure the longer you remain sober the more you’ll appreciate the benefits. I only wanted to point out the method I used because I’m sure there are many people out there who wouldn’t fit into the AA program. Yes, we always seem to get this business of people who have a problem of spirituality, jumping on something that smacks of “God” and “Holy Rollers”, such as my account of “praying in public” in in one of my recent blogs. Firstly, two comments about what happened with me. The only reason this was done “in public” is because my sponsor happened to choose a park as the location for us to meet. I don’t know how many other AA members would meet their sponsor in a public place, but I suspect a vast majority would meet in a private place – usually someone’s home. So ‘public’ it may have been, but that was from choice and it was a quiet, secluded area and I can assure you that not a single person saw what was happening – although even if they did, it wouldn’t have mattered. Praying can take many forms, ( I doubt there are many people in this world who have not prayed at least once at some point in their lives), and there is absolutely no compulsion to go down on your knees to pray, and however members of AA pray, I am quite sure that 99.9% of them do it in the privacy of their own homes, some on their knees, but undoubtedly many not on even going to these lengths. So let’s get rid of this false notion that to work the 12 step programme, one has to go on one’s knees, and in public, for it is simply a gross distortion of the truth. Secondly, I probably should have mentioned, but didn’t, but when we went through this praying process, my sponsor told me that this would be the one and only time he would ask me to pray, and from then on, it would be completely up to me as to when and if I ever prayed again. There simply no compulsion to do this. There is also no compunction for any member of AA to do the twelve step programme and go through the third step etc.. It is always up to the individual, and whatever the state of their spiritual progress, (or lack of it), they will always be welcomed at AA meetings, and will receive help and advice, when they ask for it. .
Now to your comment that AA claim the only way to sobriety is through the AA programme. That simply is not true, and if I have implied this in my blog, then I apologise. If you read the “Big Book” and other AA literature, you will see that AA never make this claim, and in fact they state very clearly that they welcome any new medical or other research and ideas that may Assist an alcoholic to recover. They have not closed their minds to any alternative therapies, and they have never claimed that theirs is the only way. What I meant to say, or should have said, is that the AA programme, for a great many people will be their only hope to remain sober, simply because of their personal situations, (e.g.in jail, on probation down & out, broke, etc etc ) they would not have any access to any other kind of therapy. AA therapy is free, and it works for those who choose to embrace it. Most other forms of therapies involve financial outlays, which many alcoholics do not have access to. One further point. I am sure you must be aware that many medical establishments, social services, courts, throughout the western world approve of the AA programme, because they have seen that it works, and continually refer alcoholics to AA meetings as part of their therapy/recovery attempts. In other words it is widely recognized by experts in this field as a method that can work very well. It is also a fact that many alternative AA recovery therapies embrace much of the Twelve step approach, pioneered and developed by the AA Fellowship. We are all in this this together, and what ever way to recovery that works for you and countless others around the world, is absolutely OK in my book, and I am sure in the books of all AA members. Thank you for you comments, good luck, and stay sober. I too was an alcoholic – sober now for two years. AA wasn’t for me. First because I am an atheist and to believe in something that I am opposed to (I’d say I’m an anti-theist as well) would never work for me. I also believe their system is fatally flawed – they are basically replacing one addiction with another. Alcohol with God. They’re saying you’re weak and you need something to control your life. Before you used alcohol now you can use God. The problem is when your “faith” in that new god is shaken in some way you’ll inevitably return your old vice, your original faith. I cured my addiction using cognitive therapy along with a course of medication. I used science to cure a medical problem the same way I would use science to cure any other medical problem. Not trying to put you down and I hope things pan out for you, but just pointing out a different approach that actually reaffirms your strengths rather than your weaknesses. Thank you for your message and I respect your point of view and certainly hope that the course you have taken will continue to work for you. Two years sobriety is very good, but as you must know, you have only just started, and many alcoholics can stay sober up to 5 years or longer and still lapse, usually because they are what AA call “dry drunks” and even though they have sufficient will power to stop for a long time, they haven’t made the necessary changes in their lives to achieve permanent sobriety. In my group here in Pattaya, there are dozens who have achieved 20 – 40 years+ of sobriety by following the 12 step programme in their daily lives and attending regular AA meetings. If you ever met and talked to any of them you would never try to claim they were addicted to God – it is far from the truth. They are ordinary, down to earth folk, who are happy and contented, many with new families, and live life to the full. They are certainly not religious folk in any sense of the word, and I would think the only time they talk about God or a “higher Power” is occasionally in AA meetings when the subject comes up. They are no different anyone else and have their vices and virtues, but of course, being sober alcoholics they do try better than most to keep their character defects to a minimum. Anyway I appreciate your input, and as I said in my blog, I will be writing more about this subject in the future. I just hope, that you, like me, will always try to keep an open mind on this subject.